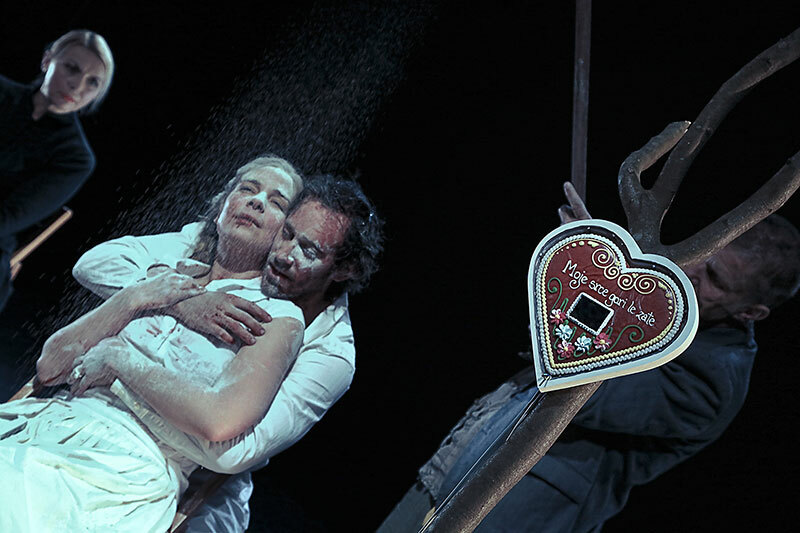 The play Dead Man Comes for His Sweethearthas its roots in the eponymous folk song and also in Prešeren’s adaptation of Bürger’s Lenore. The author has approached the topic in a striking and different manner and looked at it from different points of view. By employing schizophrenia she introduces two heroines, two Micka characters, who fight for supremacy or survival. Further, there is also St Thaddeus, a runner, a seer, a confession-taker. And two mothers. Micka’s and Miller’s. None of them was able to escape the sharp pen of Makarovič. Miller’s mother, while already dead, scolds her son and gives him instructions how to mourn for her. Because she is superior to him in everything and reminds him that she has sacrificed everything for him, he owes her at least to treat her as she sees fit. Second Micka selfishly asks Miller to transfer the ownership of the mill to her if he wants her to marry him. She says that then she will be able to burn the mill down in broad daylight, because it will be hers. Namely, she knows a horrible secret – that Miller murdered Anzel, her dead lover. First Micka is gone, because there is no room for true love in such a world. The Prešern Theatre Kranj is one of the smallest Slovenian theatres, but this does not mean that it does not have big ambitions and desires. The theatre is bound to the ambition or rather to the theatre art mission by the mere fact that it is named after the greatest Slovenian poet – France Prešeren (1800 - 1849). Although it is a repertory theatre, it is not afraid of bold moves and innovation. 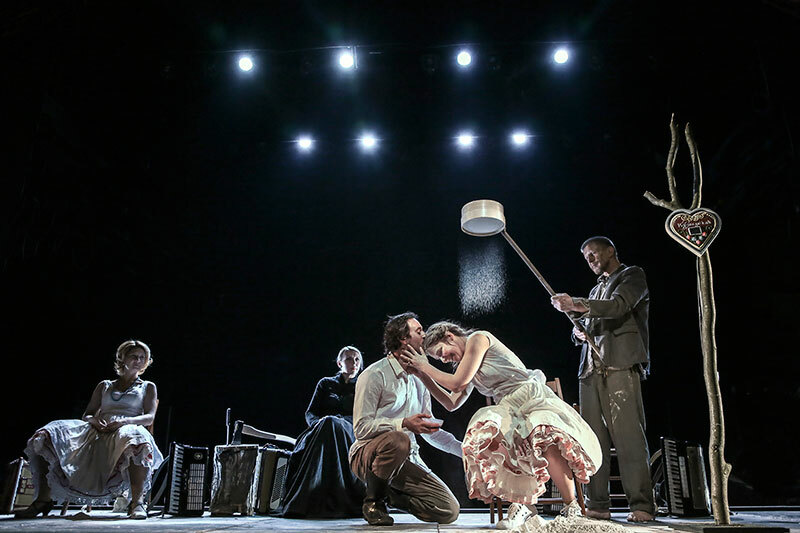 The theatre is recognizable on the Slovenian theatre scene by its thematically provocative, aesthetically purified and socially engaged performances. After years of hard work and gentle dreams, it can be said that its whole ensemble and staff have a theatre with dreamy eyes and a bold character. 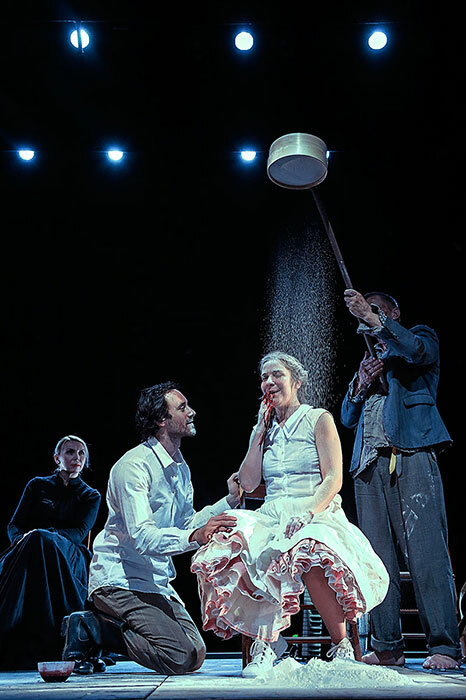 In the past years they have got a large number of awards, among them twice the Award for the best performance in Slovenian theatres which is given by the Association of Theatre Critics and Researchers of Slovenia (for the Authorial project “25.671” in 2013, and for the performance “Dead Man Comes for His Sweetheart” in 2014). The Ptuj Cizy Theatre was re-established in 1995 on the initiative of Samo Strelec and The Theatre Zato. Based in a 230-seat hall within a recently renewed and modernised 19th-century historical building, it launched its first repertory season in Autumn 1995. Since that time the seven-member permanent team and over 200 guest actors have produced around 6 performances annually, staging communicative plays of different genres. 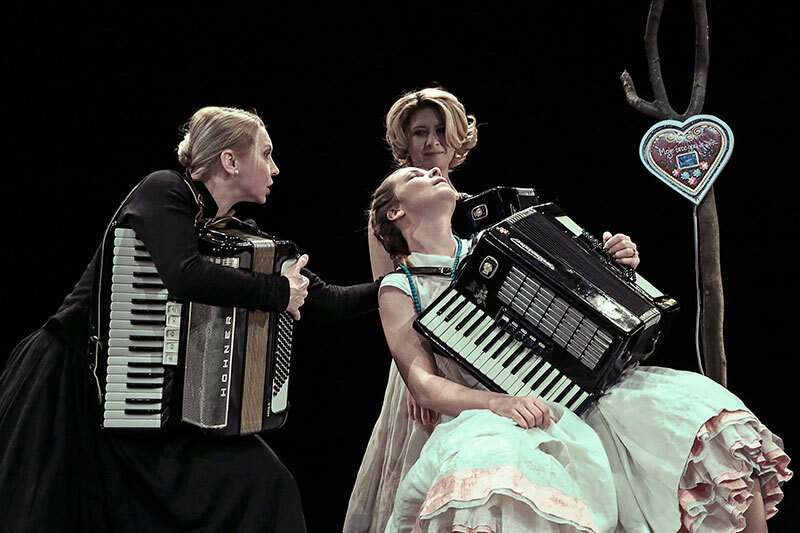 The Ptuj City Theatre organises 2 theatre festivals, namely the biennial Festival of Monodrama, Ptuj, and the annual Slovene Festival of Chamber Theatre (SKUP).